Vibrant thing. 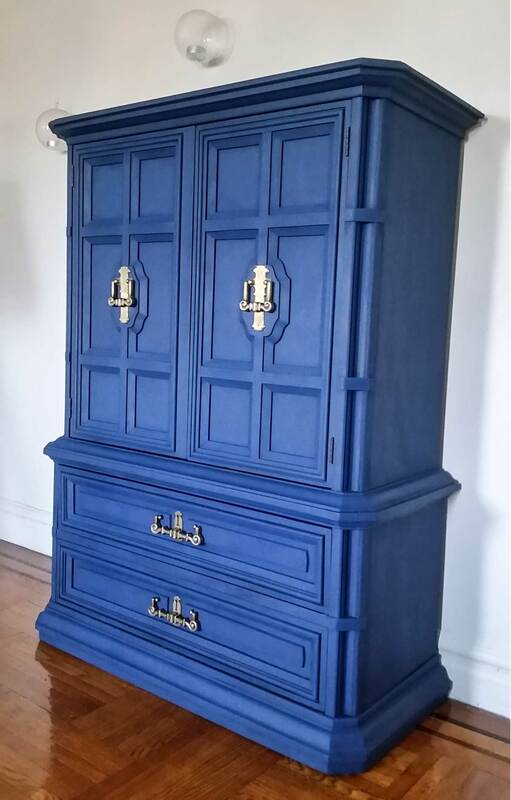 A shot of blue revived the spirit of this antique armoire. 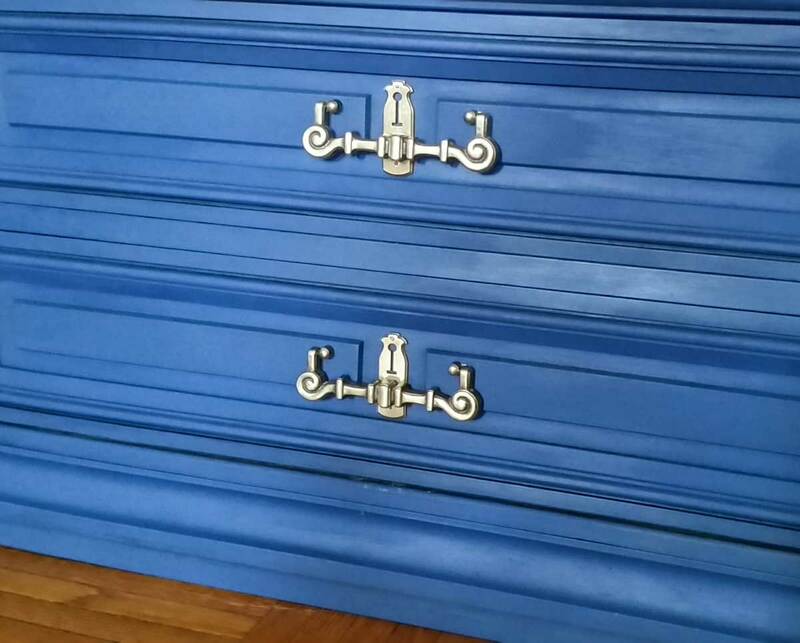 We sanded the beast, applied clear wax and polished the gold hardware for shine. 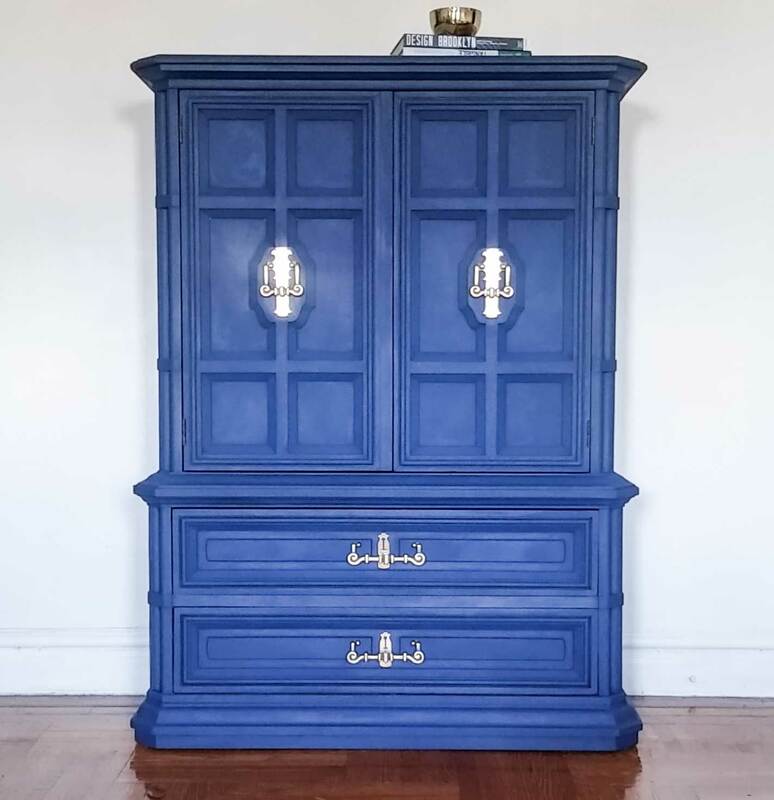 Our choice of color makes this armoire a centerpiece.